Fresh from his Dota 2 All Star Weekend tour, the legendary Power Ranger actor and MMA fighter Jason David Frank greets all of his Filipino fans and you just can't stop loving the man! Video courtesy of Team Cyback and Team JEFusion's power couple, Fred and Daph! So, do you wanna see Jason David Frank in a proper meet-and-greet event here in the Philippines? Drop us your thoughts down below the comments sections and maybe, we can make your dream come true! Why tagging Henshincon? instead of Dota 2 All Star Weekend ? Maybe its a teaser for Jason David Frank to become a guest of Henshincon, If Jefusion will organize a second event compare to 2015. Let's wait for them to respond. Having a second event of Henshincon ? that's impossible, Danny Torres together with his friends organized TokuSpirits for two times is way better than Henshincon that looks like only a trial for guesting two Sentai Actors. Henshincon tries to please this actors however Danny Torres well known all the Super Sentai actors and he can organized better. 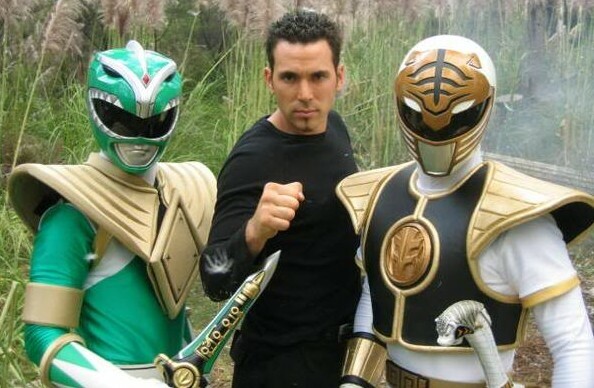 It's a greater challenge for Henshincon for the Power Rangers star' Jason David Frank to become guest star of this event , that seems to be more expensive. Poor thing no response on Jefusion, there is no Henshincon anymore, even their own sites are closed due to their shameful act last 2016. This is the first and last convention ever. If you ask if Jason David Frank to become guest of this event? this is too satirical.